Design, engineering, procurement, project management & construction activities are performed in-house for best results and tight schedule control. We specialise in the emergency repair of fire or explosion damaged units. Our wide procurement network allows us to rapidly source and fabricate materials. We provide around-the-clock material sourcing, engineering, fabrication, expediting, transportation, field construction and start-up related services. Esteem has rebuilt entire furnaces in as little as four weeks! For us time is everything. We are fanatic about executing the job in the shortest possible time without relenting on job quality. Shutdown projects are handled by the best of our engineers having decades of experience in Fired Heater revamp jobs. 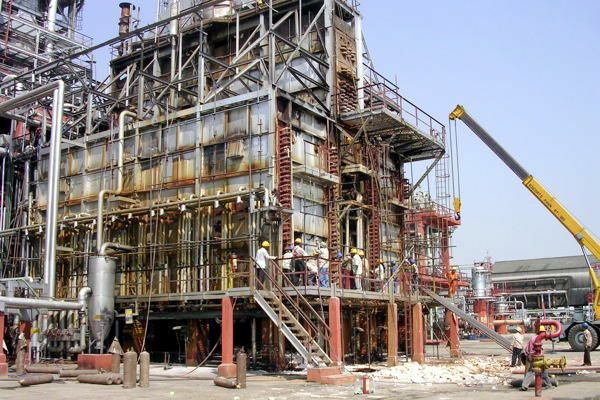 We understand that time is the most valuable resource for any refinery or petrochemical plant under shutdown. This is what drives us to exceed client expectations time and again! Planning a fired heater revamp? Contact our specialists to find out how we can deliver within best schedule and budget.